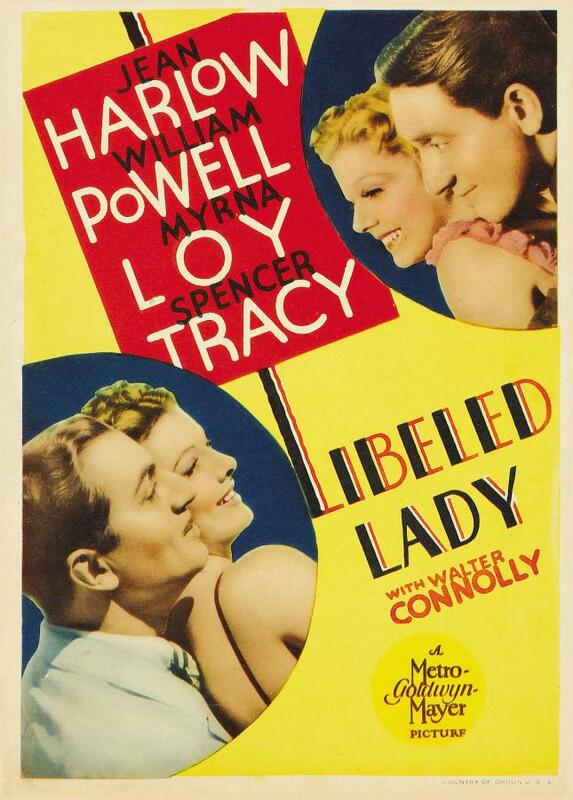 Libeled Lady (1936). Starring Jean Harlow, William Powell, Myrna Loy and Spencer Tracy. A screwball romantic comedy classic nominated for a Best Picture Oscar®. It all starts when society diva Loy slaps newsman Tracy with a libel suit. Tracy enlists fiancée Harlow and down-on-his-luck Powell in a counter maneuver involving a rigged marriage, a phony seduction, a fabulously funny fishing scene, fisticuffs, broken promises and heart and eventually, true love or all. This Lady is one fine catch. Comedy, Romance. Not Rated, 98 minutes.